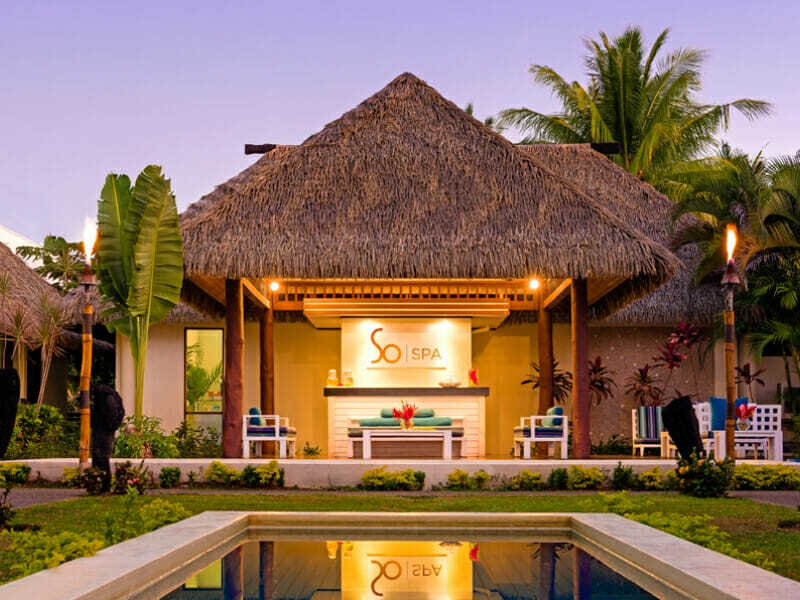 Discover the beauty of the South Pacific with an escape to the luxurious Sofitel Fiji Resort & Spa. Encompassing the perfect blend of natural beauty, vibrant culture and a fusion of the Sofitel’s French inspired elegance, the Sofitel Fiji offers the ideal tropical retreat. 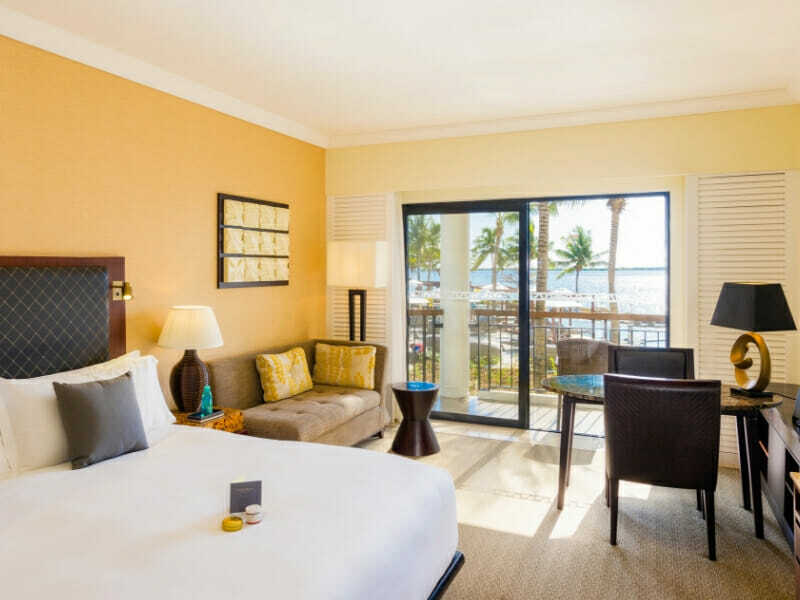 Sofitel Fiji Resort & Spa has been refurbished in recent years with your comfort in mind. Each one of the 296 rooms have a private balcony and the family rooms allow kids to enjoy their holidays as much as their parents with a separate bunk bed sleeping area, an in-room Sony PlayStation and convenient location near the children’s pool. 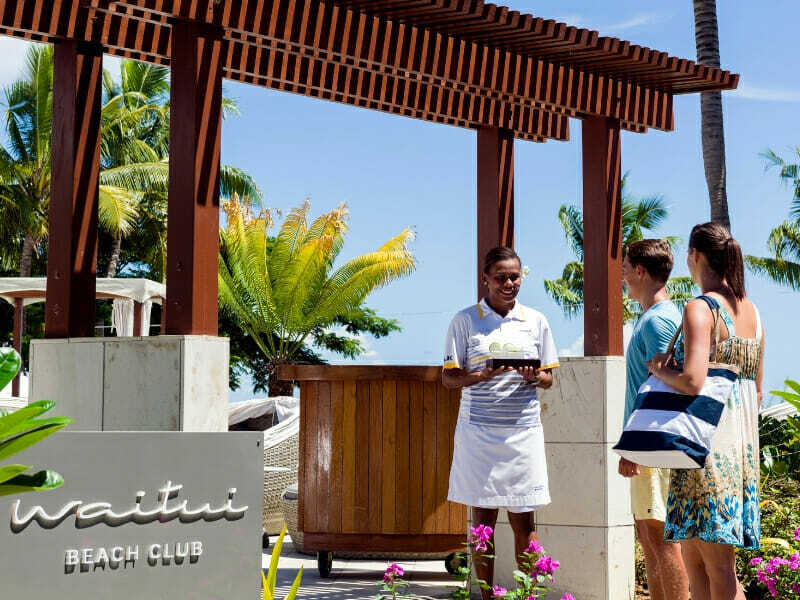 The French touches found in Sofitel resorts worldwide add elegance and familiarity to the Sofitel Fiji Resort & Spa while the Fijian decoration allows visitors to immerse themselves in the islands culture. 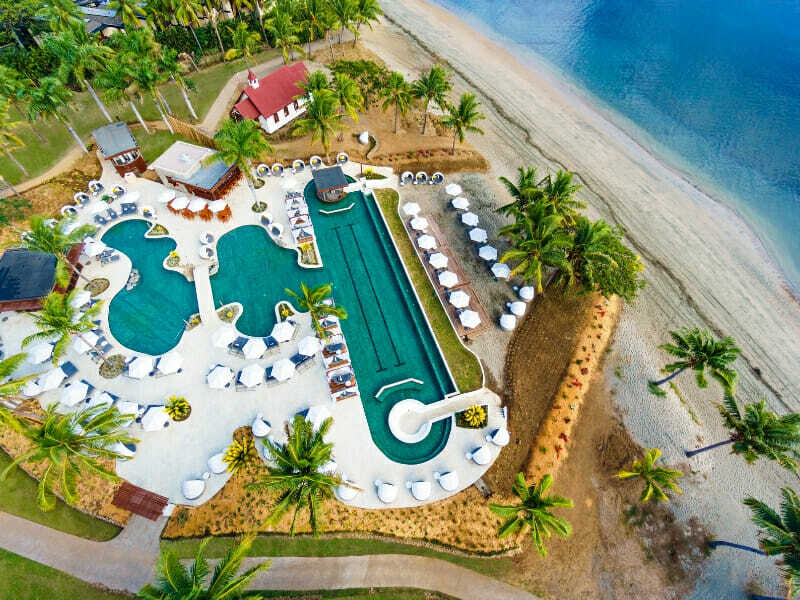 Taking a refreshing dip in one of the largest swimming pools in the South Pacific, relaxing with ocean views from your private terrace or balcony, watching the kids play in the Kids Club, uploading photos using the resorts Wi-Fi are all daily options at Sofitel Fiji Resort & Spa. There are a range of facilities for enhancing your relaxation too like the massage centre, sauna and Jacuzzis. You’ll never go hungry with 5 dining options to choose from, offering everything from gourmet to café style food plus everything in between. Set in a prime location on Denarau Island, you’ll find Port Denarau Marina just a short, ten-minute walk from the resort. Denarau Golf and Racquet Club is just across the street for golf and tennis enthusiasts too! 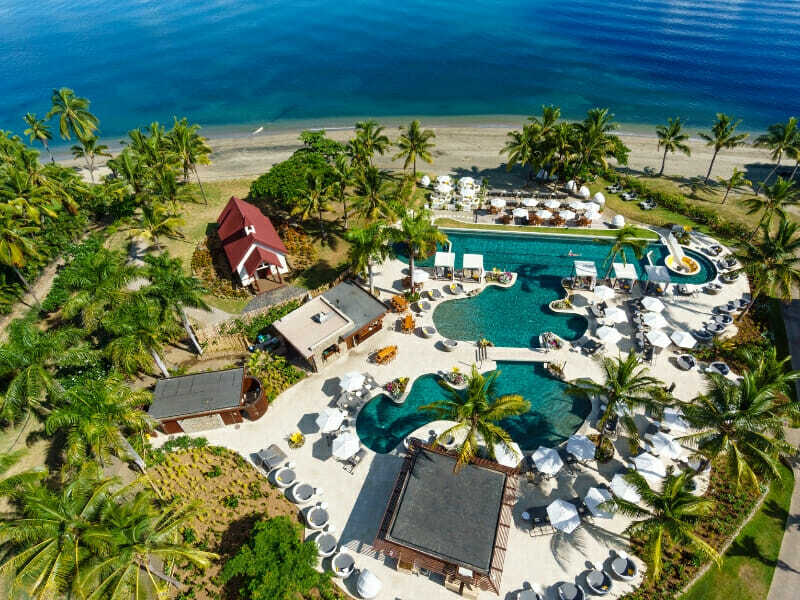 Situated on 25-acres of private beachfront land, the Sofitel Fiji Resort & Spa is a tropical oasis with the highest quality rooms, fine dining options, relaxation services, Pure Fiji® bathroom amenities and special additions to keep the little ones occupied. 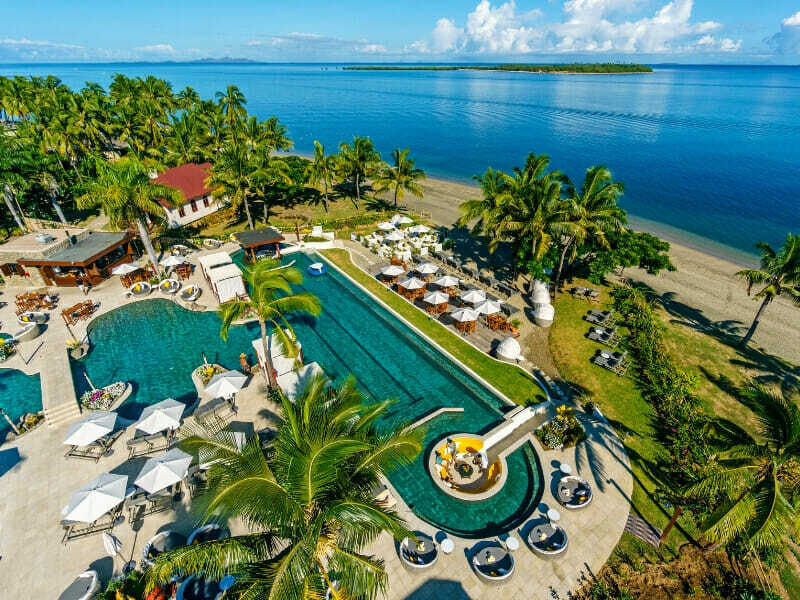 Featuring the perfect combination of luxurious hotel facilities and services and traditional Fijian culture and design plus a touch of French sophistication, a stay at Sofitel Fiji Resort & Spa is sure to be a memorable one. 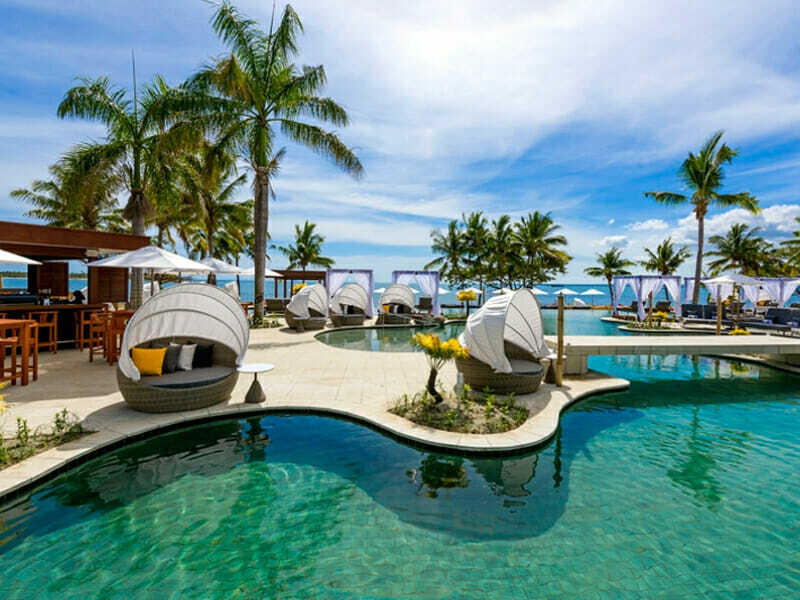 Experience the world-class quality and service for yourself and base your Fiji holiday at Sofitel Fiji Resort & Spa. 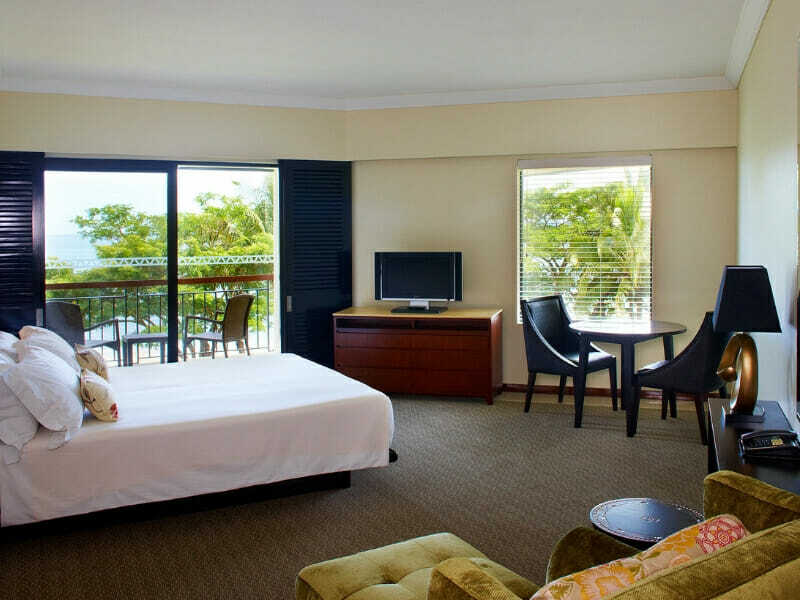 Facing the crystal-clear waters of the Pacific Ocean the Superior Oceanside Rooms boast stunning views of Nadi bay. Covering 35sq. metres these rooms are elegantly designed with warm hues and contemporary furnishings matched with Fijian inspired touches. Rest your head on the comfortable Signature Sofitel MyBeds with your choice of one king or 2 queen configurations. Stay cool in the air conditioning and discover Fijian secrets to beautiful skin with the Pure Fiji® bathroom amenities. Relax on your private balcony or terrace or take advantage of the direct beach access. The Luxury Oceanside Rooms combine French elegance with a Fijian Accent for the design of these rooms with rich colours, contemporary furnishings and Fijian touches. It’s easy to relax in these 35sq. metre rooms with the range of luxurious and modern features at your fingertips. Get a good night rest on the Signature Sofitel MyBeds with your choice of one king or 2 queen configurations. Stay connected with Wi-Fi access and play your favourite tunes on the Bose® SoundDock® Digital Music System. You’ll find Pure Fiji® amenities in the bathroom and complimentary mineral water in the minibar. 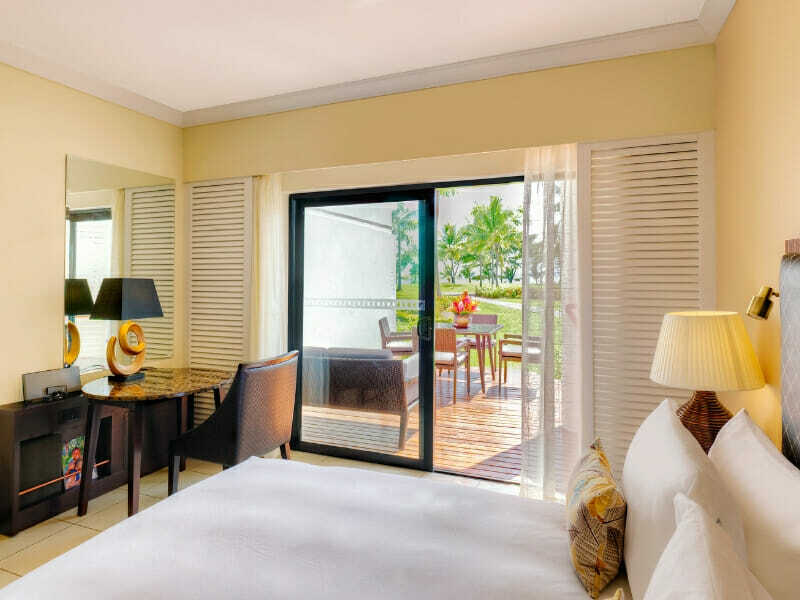 Luxury Waitui Beach Club Room is packed with all the luxurious features of a Luxury Oceanside Room including the Signature Sofitel MyBeds, Wi-Fi access, Pure Fiji bathroom amenities and much more. The rooms span across a spacious 35sq. metres and radiate rich colours and contemporary furnishings with French elegance and Fijian touches. Basing your holiday in a Luxury Waitui Beach Club Room opens doors to a range of exclusive features. 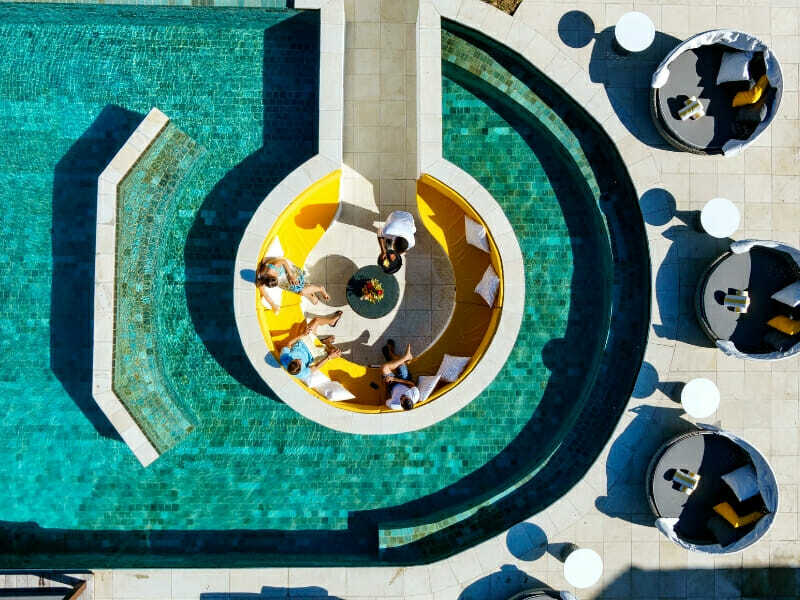 Receive exclusive access to the Waitui Beach Club (for 16 years+ only) and enjoy pool butler service, sunset cocktails & canapes, private cabanas, exclusive access to upscale fitness centre, fitness activity program and evening entertainment! As the names states, the 35sq. 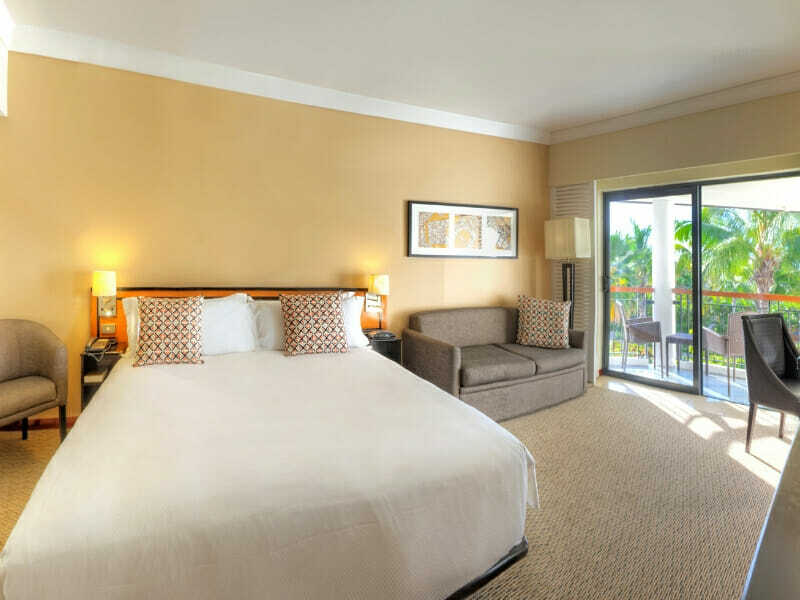 metre Family Room at Sofitel Fiji Resort & Spa is perfect for travelling families. The master bedroom features a queen size Signature Sofitel MyBed for mum and dad while the additional bedroom features a 2 tier bunk bed for the kids as well as a PlayStation 3 console and television. Discover the Fijian secret to beautiful skin with the Pure Fiji amenities found in the bathroom. Make your own hot beverages with the in-room tea and coffee facilities. Stay cool in the air conditioning and order a midnight snack with 24/7 room service! Let the entire family get the most out of their Fiji holiday and stay in a Luxury Family Room. These rooms span across 48sq. metres featuring a separate room for the children and direct beach access thanks to their ground floor location. Sleep soundly on the Signature Sofitel MyBeds, with a queen size for the parents and a 2 tier bunk bed in the children’s room. The kids will be kept occupied with a PlayStation 3 console and LCD TV in their room. Stay cool in the air conditioning or take in the ocean views from the private outdoor deck. Use the Pure Fiji bathroom amenities and blast your favourite tunes through the Bose® SoundDock® Digital Music System. Set on picturesque private beachfront on Denarau Island, Sofitel Fiji Resort & Spa is surrounded by lapping waves and swaying palm trees. 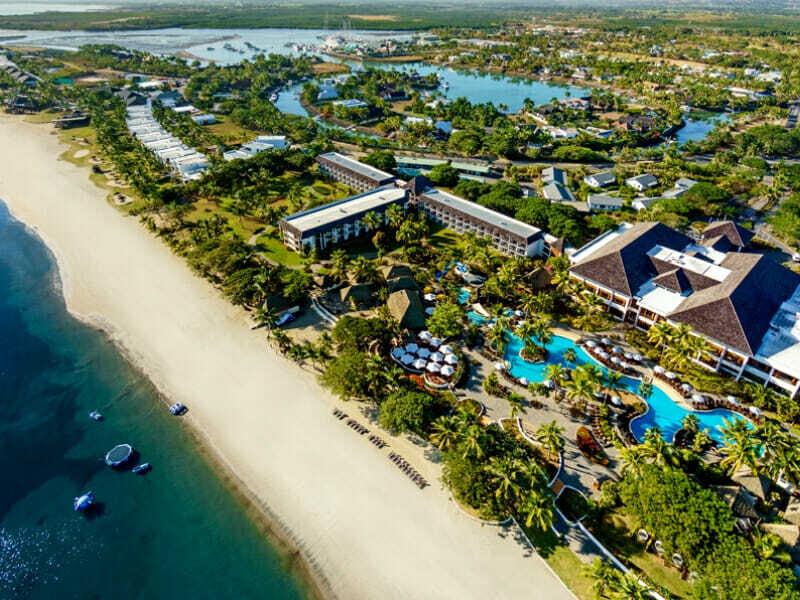 Located amongst the tourist hub of Fiji, Sofitel Fiji Resort & Spa is in close proximity to great Fiji attractions such Port Denarau Marina, Denarau Golf & Racquet Club and Nadi Town. The Nadi International Airport is just a 20-minute drive too! 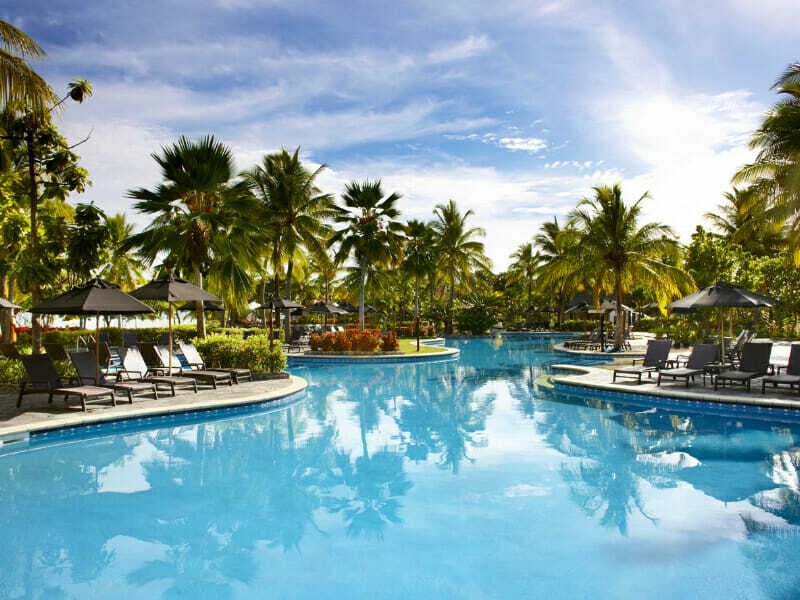 There’s plenty on offer at and around Sofitel Fiji Resort & Spa. The Waitui Beach Club is the latest addition to the resort. The club is a sophisticated adults-only area for guests to wine and dine. Relax and unwind with the range of wellness facilities including a spa, sauna, Jacuzzis and massage services. Take to the water with the range of motorised and non-motorised water sport equipment available. Relax on the private beach or run through the sand for a volley ball game. 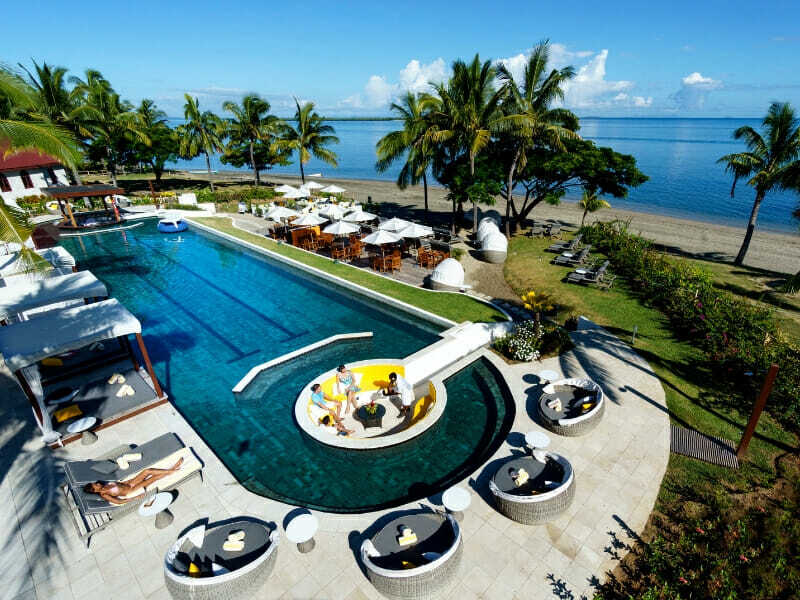 Children won’t be complaining they’re bored when they stay at Sofitel Fiji Resort & Spa. Not only do they have PlayStation consoles in the rooms but there’s also an indoor and an outdoor playground, Kids Clubs suitable for children aged between 3 and 12 years’ old and the range of outdoor sporting activities. Being located in the tourist hub of Fiji there’s plenty of attractions around the resort too! Port Denarau is just a short walk away while Big Bula Water Park and Nadi Town aren’t too far either! A thoroughly enjoyable holiday with excellent friendly staff and very pleasant surrounding which encourage relaxation. Great facilities with the benefit of an adults only pool was great. Food was of a high standard and well prepared.